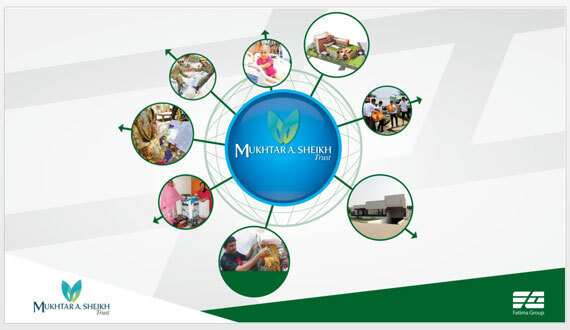 Under the umbrella of Fatima Group, Mukhtar A. Sheikh Trust, a welfare organization, aims to "Enrich Lives" by playing its part in giving back to the society. Mrs Farrukh Mukhtar, W/O Late Mian Mukhtar Ahmad established the Mukhtar A. Sheikh Trust in 2000. The trust under takes scores of welfare activities for individuals, communities as well as institutions, it has prioritized "Health and Education" as the two key areas to focus at. Thus, establishing a state of the art psychiatric support facility in Multan is one of the many steps taken by the trust in strengthening medical infrastructure and the support system for the poor and needy.